India's bowling coach Bharat Arun said the bench strength in Indian fast bowling is making it easier for the team management to rotate bowlers and balance their workload. 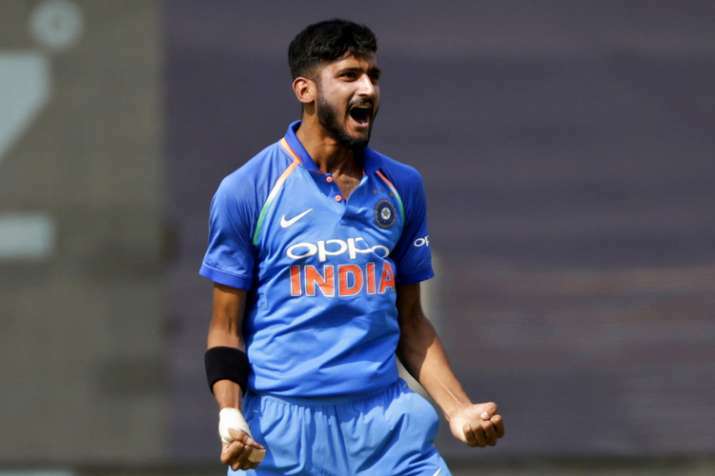 India's bowling coach Bharat Arun on Wednesday said the team's fast-bowling strength has never been more "exciting" with new find Khaleel Ahmed being the latest addition to the stocks. "We have a very good fast bowling quartet. And also, the bench strength is very exciting," Arun said ahead of the fifth and final one-dayer against the West Indies here on Thursday. Will the Ranji Trophy throw another surprise for us this year? Jasprit Bumrah, Umesh Yadav, Bhuvneswar Kumar along with Khaleel make up the pace battery currently in operation against the West Indies. Arun praised Khaleel, calling the 20-year-old a bright prospect. "Khaleel looks a very exciting prospect. He is sharp and has the skills to do well in international cricket. He is a very exciting prospect," he told reporters here. Khaleel took 3 for 13 in the fourth ODI in Mumbai to trigger the West Indies' collapse in pursuit of a mammoth 378 for victory. Arun, without naming specific players, said the bench strength in Indian fast bowling is making it easier for the team management to rotate bowlers and balance their workload. "When we started off, the onus was not only on creating a force to reckon with pace bowling unit for the Indian team, also we needed very good bench strength. To sustain fast bowling over a long period of time, you need to rotate these bowlers. The team management had to monitor the workload," he explained. "When we played against South Africa, I think it was the first time in the history of Indian cricket we went into a match without a single spinner. We happened to win that Test match as well. This augurs really well for Indian cricket," he added referring to the tour earlier this year. The bowling coach also defended the under-fire Mahendra Singh Dhoni, saying he is one of the legends of Indian cricket and would come good. "He is one of the legends of Indian cricket. His striking ability is for everyone to see. He has done it many a times before. He is extremely experienced and I'm sure given the opportunities, he will come good," Arun added. Asked if performance would be given precedence over the 'Yo-Yo' fitness test in the light of Ambati Rayudu's show in the ODI series against West Indies, he said it was mandatory to prove fitness. Rayudu missed out on the England tour after failing the Yo-Yo test, made a comeback in the ongoing series and has done well so far, including a hundred in the previous match. "Fitness, with the kind of schedule that we have, is an important part of our focus. And the mark that we have kept for people to pass is not every tough. And anyone who is there in the team has to pass the fitness test," he said. The Indian team had an optional training session ahead of Thursday's fixture with only a handful of players taking part. Young southpaw Rishabh Pant delighted the small group of fans who gathered to watch the session with some big hitting. The others who practiced were Rayudu, K L Rahul, Yuzvendra Chahal and Umesh Yadav. The West Indies, on the other hand, opted not to train.